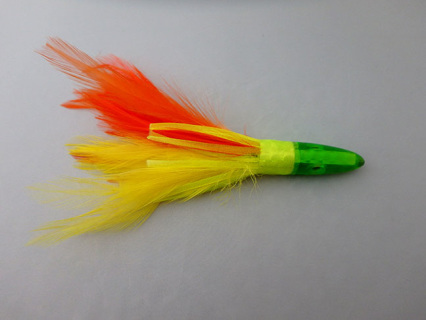 This tuna feather lure has hard head with moving eyes and three bright colors. 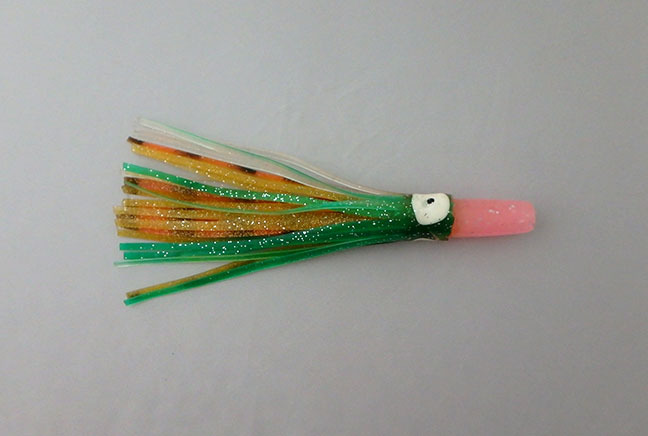 Green head with UV chartreuse skirt over chartreuse and orange feathers. Lure is about 6 inches long. 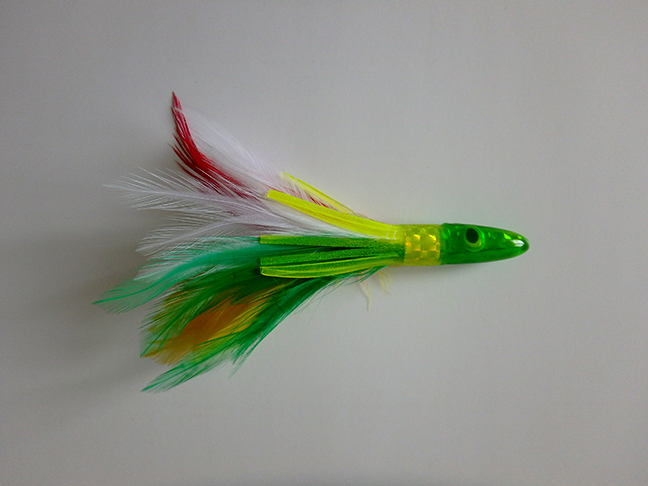 This tuna feather lure has hard head with moving eyes and a rainbow of colors. Green head with UV chartreuse skirt over chartreuse, green, red, and white feathers. Lure is about 6 inches long. This tuna feather lure has hard head with moving eyes and three bright colors. 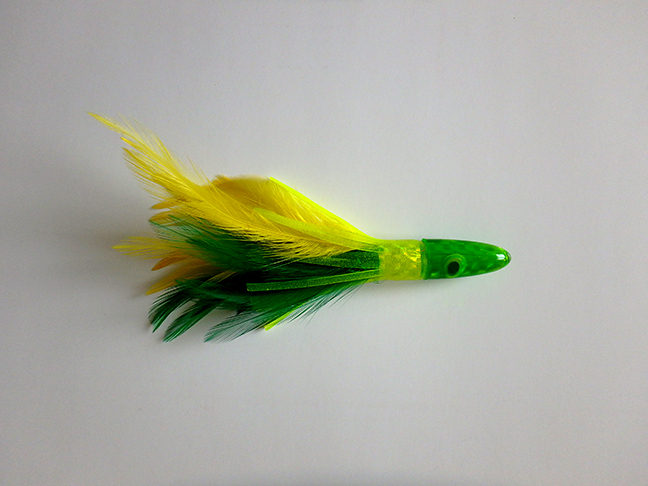 Green head with UV chartreuse skirt over chartreuse and green feathers. Lure is about 6 inches long. 6-Inch long soft plastic tuna lure with soft pink head. Green, chartreuse, and orange and black striped sparkly tentacles. Click product photo for larger image. All products ship worldwide by US mail. We accept Visa, Mastercard, and Discover as well as PayPal. When checking out online you may have to go through several screens to get to the one that says you can use your card. Secure Checkout! Products usually ship next day.